The Vietnam CEO Summit 2018 opened in Hanoi on July 25, drawing more than 400 delegates from leading firms in Vietnam, as well as economic, financial, and artificial intelligence (AI) technology experts. 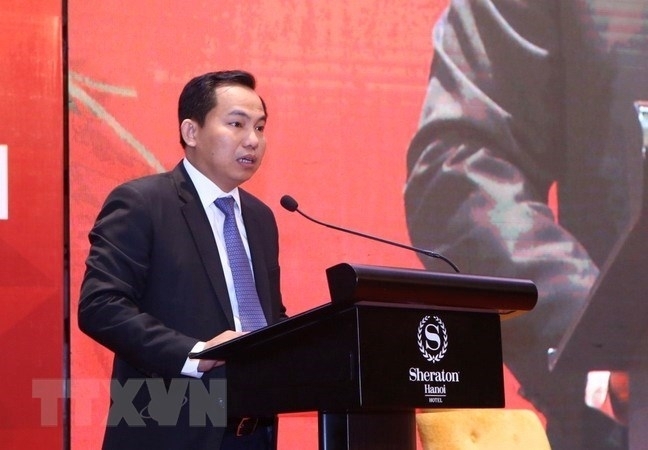 Addressing the event, Deputy Minister of Planning and Investment Le Quang Manh cited a survey by the Vietnam Report group showing that 62.5 percent of total surveyed businesses admitted to taking steps to transform their technology. Of the top five trendiest technology applications chosen by Vietnamese firms, most were designed in the fields of big data and cloud computing. Larger Vietnamese companies shared the hope that AI will help minimise operational costs, improve productivity, and create new products and services with greater personalisation and higher quality. However, only 13.6 percent of enterprises said that they have invested in AI for some of their activities. 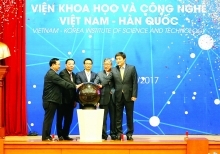 Manh said that Vietnam has a good foundation for accessing high technology, new knowledge, and breakthrough opportunities. This foundation is made up of a large, young population interested in new technology, and an increasing number of those with an academic background compared to older generations. 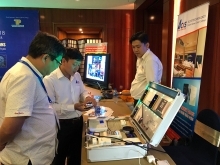 He noted that information technology, telecommunication, and communications in Vietnam have seen strong growth over the past years, with favorable conditions created for the stabilisation of telecommunications infrastructure and the Internet network. He held that heads of companies should be pioneers in changing the capacity for adaptability to make full use of their potential and deal with organizational obstacles. At the event, participants shared their experiences and gave recommendations for the Government, ministries, and enterprises of Vietnam in applying AI in different areas. Jason Furman from Harvard University, who is in charge of the US’ national AI strategy-building, said that Vietnam should build and develop an AI-based government, which he believed would push it further than the e-government. Investment in AI development should be mostly made by the private sector, he said, adding that the Government should support and create conditions for such work and avoid the creation of any obstacles in license-granting. He stressed that the Government should focus on investing in and researching basic sciences to lay the foundation for the development of all AI technologies. Meanwhile, Dr. Masahiro Fukuhara, founder and CEO of a startup firm on manpower and education, said that the society is making forward steps in technology, with big data and AI being core factors. He highlighted that the biggest challenges for management officials in the current era is personnel management, but that the necessary personnel analysis to seek skilled and suitable persons for specific jobs has yet to have been given enough attention.